Yet another YouTube star has thrown his influence — as well as a boatload of cash — behind Felix ‘PewDiePie’ Kjellberg in his bid to fend off Bollywood production firm T-Series from dethroning him as YouTube’s most-subscribed channel. 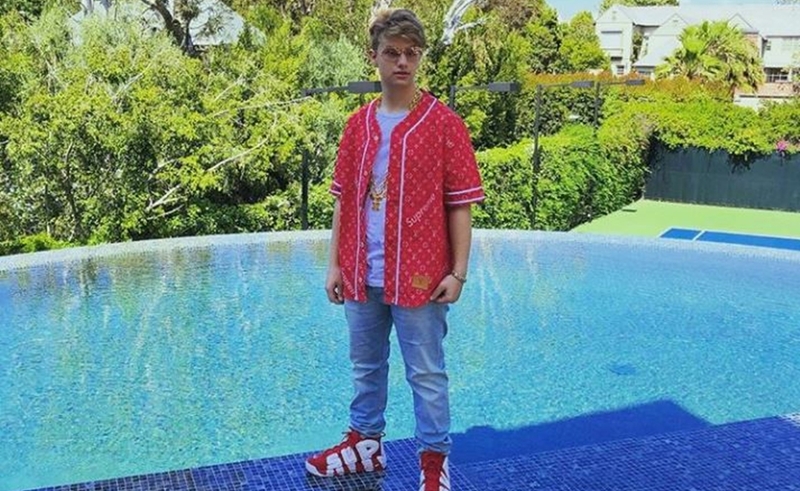 Sixteen-year-old Justin Roberts, who is a member of Jake Paul’s Team 10 vlogger posse — and whose comedy videos have amassed 1.2 million subscribers on his own channel — documented the process of purchasing a billboard in New York’s Times Square in order to encourage passersby to subscribe to PewDiePie. The video kicks off with Roberts spending $1,000 to fly from Pittsburgh — where he is celebrating Thanksgiving with his family — to New York City, all while urging a graphic designer friend to help him helm the artwork in a matter of hours. Once he’s on the ground, Roberts calls another friend, Max Modell, whose father happens to own the Modell’s Sporting Goods retail chain — which operates a store in Times Square — to help him ascertain some billboard real estate. (Roberts’ father is also a wealthy entrepreneur: the sports management and real estate tycoon Marc Roberts). This isn’t Roberts’ first billboard, either — he acquired a similar ad for Team 10 last December. While Roberts claims that the billboard cost him $1 million, it’s unclear whether he actually purchased the spot — due to his impressive network of connections. That said, Times Square ads can cost marketers a pretty penny. Forbes notes that, like Roberts, several K-Pop fans have purchased ads for their favorite musicians to the tune of $30,000 for a 15-second spot that recurs on an hourly basis for one week. And Business Insider reports that companies can pay between $1 million and $4 million for a year’s worth of Times Square billboards.